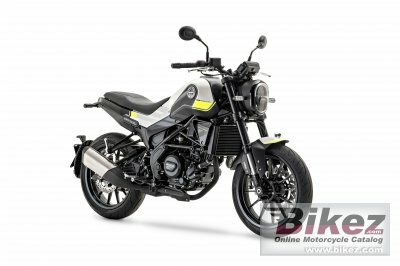 2019 Benelli Leoncino 250. Picture credits - Benelli. Submit more pictures. NO 250DESCRIPTIONLEONCINO 250 Leoncino 250 is a compact, authentic motorcycle where the classic becomes contemporary in a single-cylinder with the edgy character and innovative lines typical of the Leoncino range. The Benelli 250cc shares the reinterpretation of that mix of heritage, design and innovation typical of the historic Pesaro-based brand with the rest of the family. Tradition and innovation find their highest expression here, for a classic motorcycle redesigned in a modern key. Ask questions Join the 19 Benelli Leoncino 250 discussion group or the general Benelli discussion group. Enter your e-mail to join the 2019 Benelli Leoncino 250 forum and get notification of answers and new messages about this bike. You can unsubscribe with a single click. Bikez does not display, sell	or misuse e-mail addresses. Bikez has discussion forums for every bike. View comments, questions and answers at the 2019 Benelli Leoncino 250 discussion group. You can sign up for e-mail notifications when other riders answer you. If you have extensive experience with the MC, please send us a review. If you consider buying this bike, you should view the list of related motorbikes Look at photos. Compare technical specs. And check out the rating of the bike's engine performance, reliability, repair costs, etc. You can compare the rating with other bikes.